Front Desk: Do you have a passion for providing customer service and volunteering? 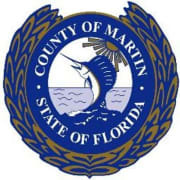 Why not volunteer with Martin County’s Growth Management Department!? Volunteers are needed for the front desk of our Growth Management department. This is a fast paced office setting which operates Monday - Friday from 08:00AM - 05:00PM. Volunteers are welcome to volunteer anytime during this timeframe and help with providing customer service and greeting our customers. Please apply at: https://www.governmentjobs.com/careers/martinfl/transferjobs. Catalog : Do you have extra time for volunteering? Do you enjoy being involved with books and cataloging? Why not volunteer with our Growth Management department?! Specifically, volunteers are needed for cataloging the books in the Growth Management department. (If you are interested in volunteering for the Library Department instead, please submit a Library Volunteer Application instead). Please apply at https://www.governmentjobs.com/careers/martinfl/transferjobs.